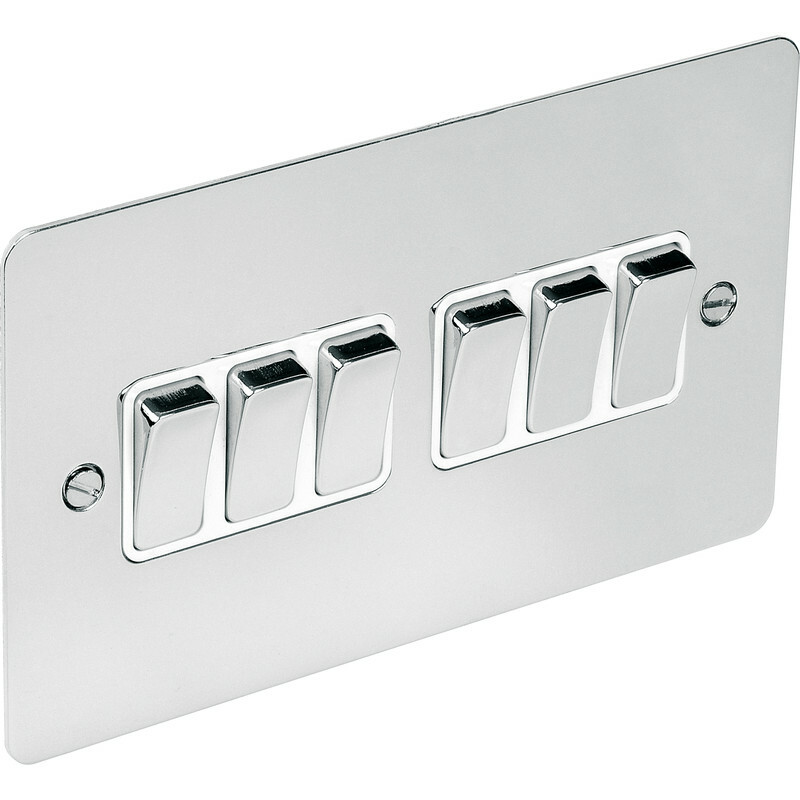 Flat Plate Polished Chrome 10A Switch 6 Gang 2 Way is rated 4.0 out of 5 by 4. Rated 5 out of 5 by joe131 from Good value for money 6 gang switch on a 2 gang plate, makes installation very neat, due to the polish chrome finish, it will leave finger marks on the plate. Rated 5 out of 5 by Andy01 from Spectacular Great flush switch. I installed one all on my own in a village hall. Everyone has commented on how easy it is to switch on and off, even the lads in the brass band like it. Should suit all customers, regardless of their arm length.